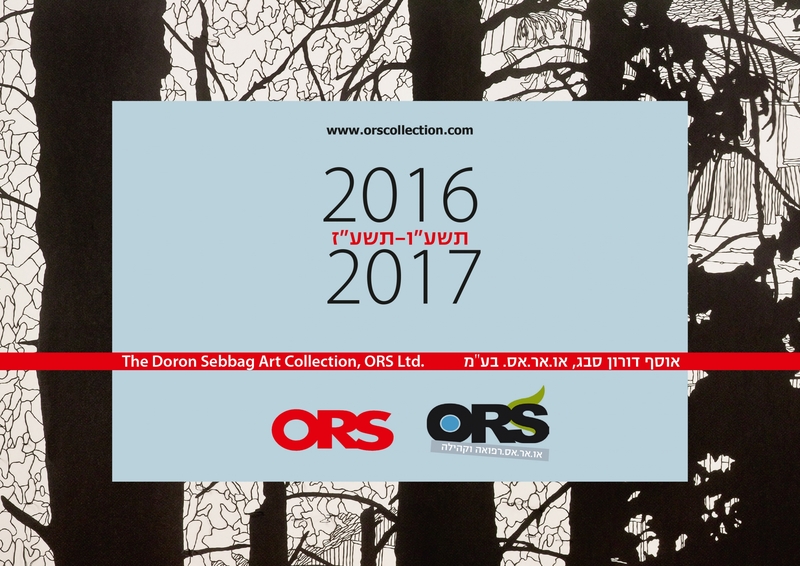 Each year, the Doron Sebbag Art Collection, ORS Ltd., produces an elegant annual calendar that provides a glimpse into a selected theme from the collection, such as: photography from the collection, Israeli art from the outset of the collection, recent acquisitions, video art works and more (Design: Dafna Graif, Photography: Avraham Hai). 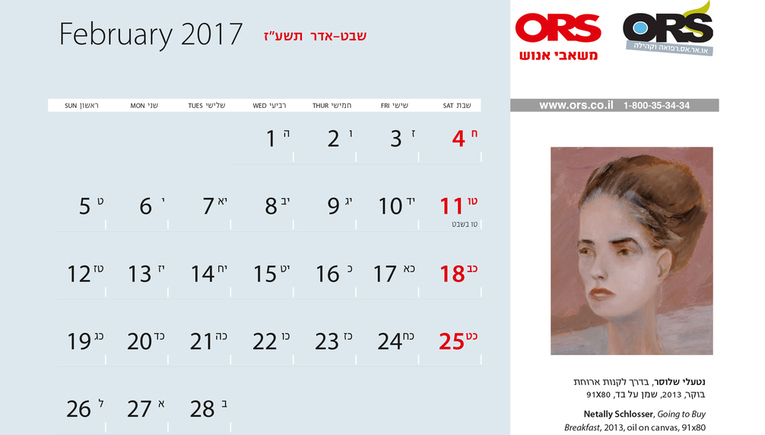 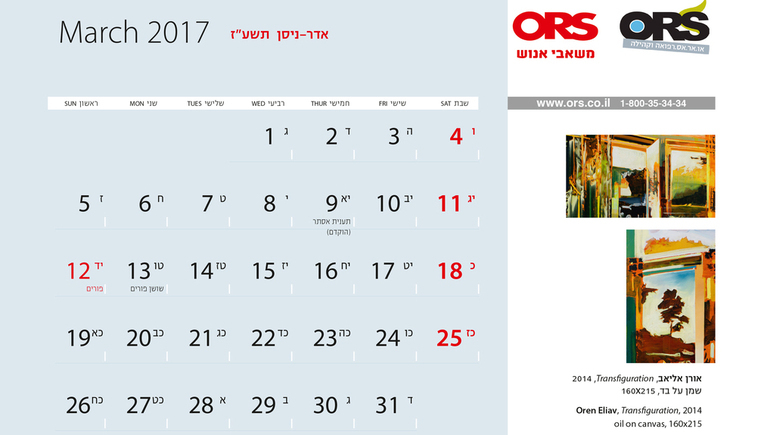 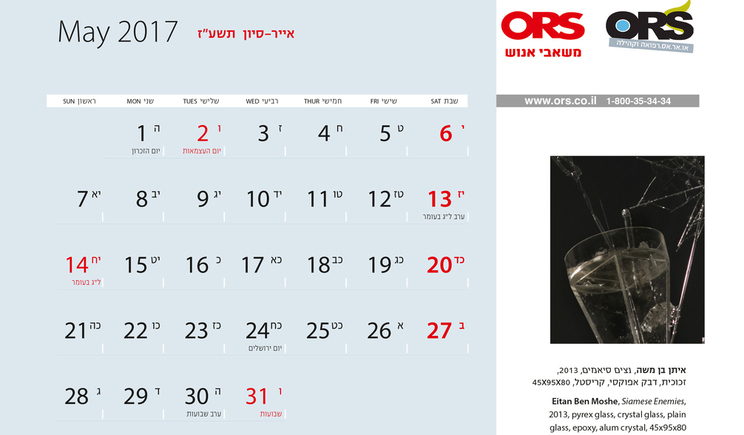 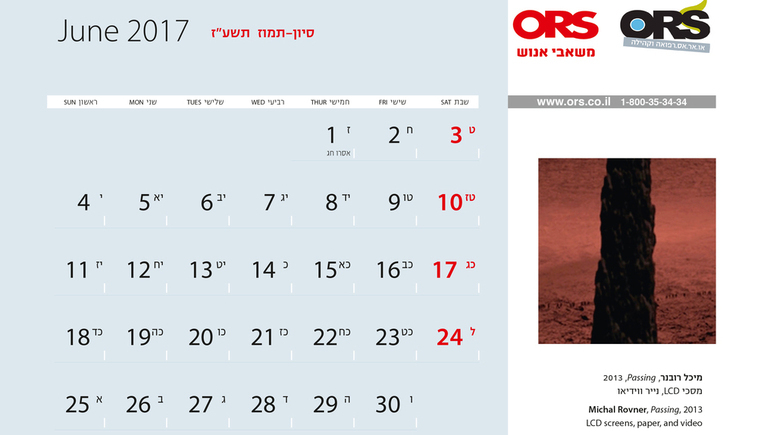 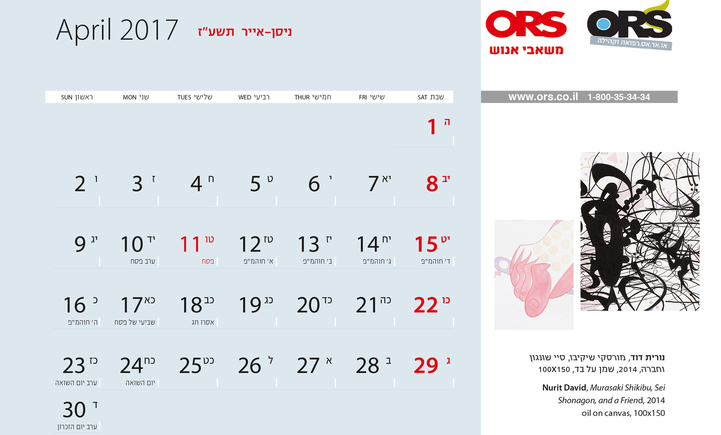 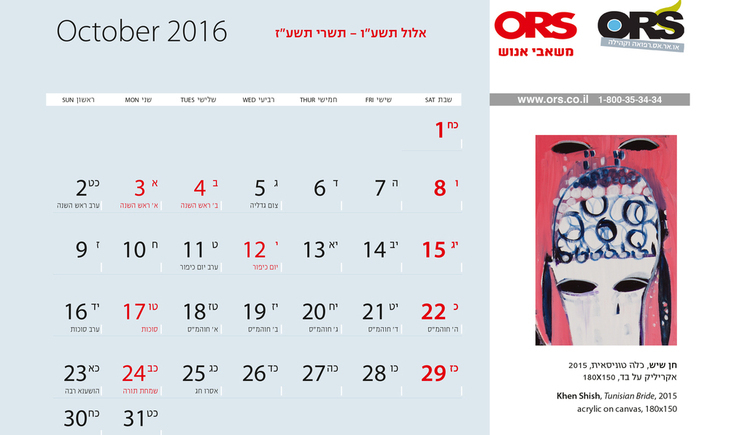 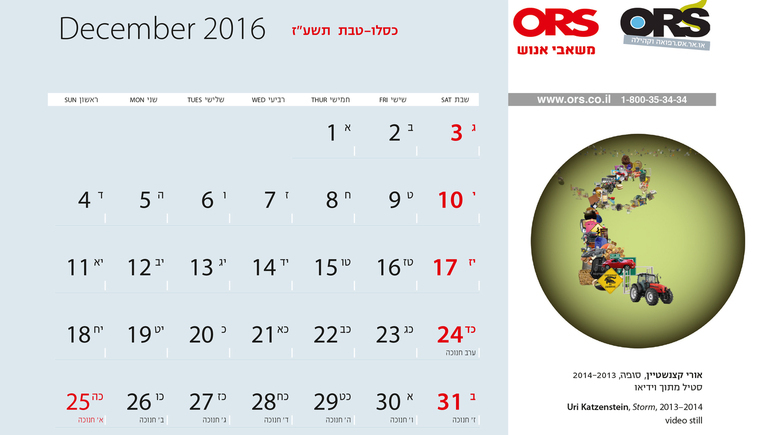 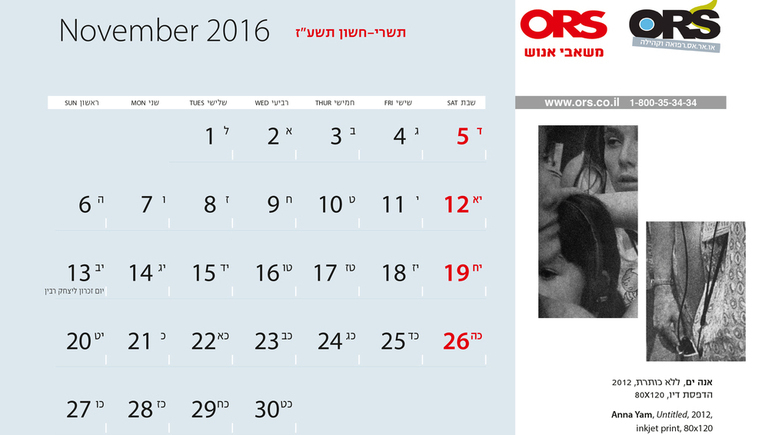 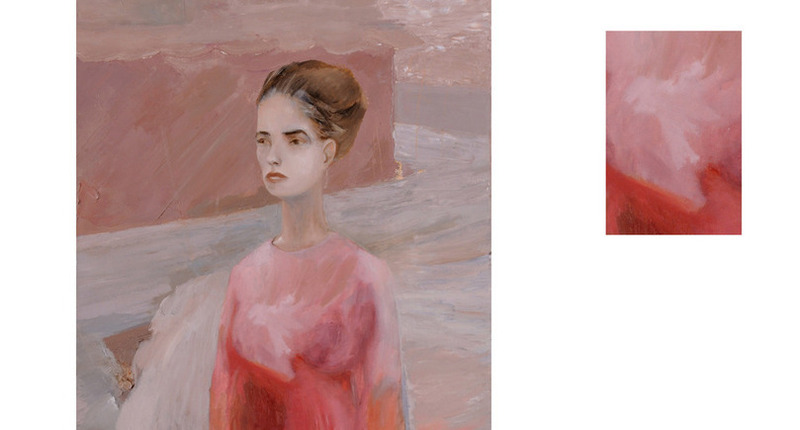 The 2016–2017 calendar is dedicated to Israeli art. 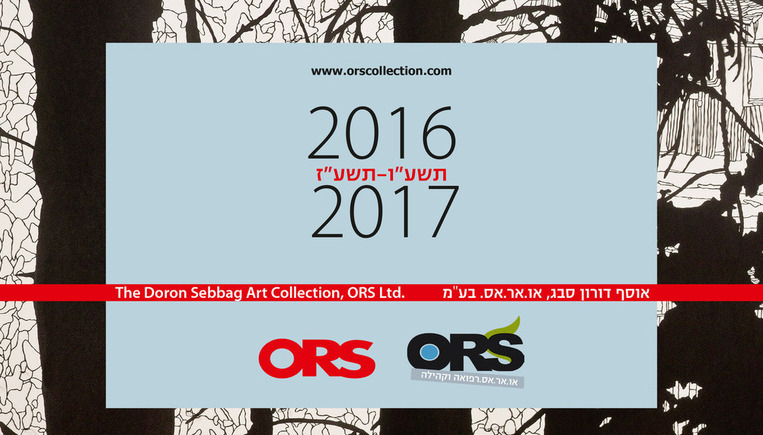 It features a range of art works in diverse techniques, acquired for the Doron Sebbag Art Collection, ORS. 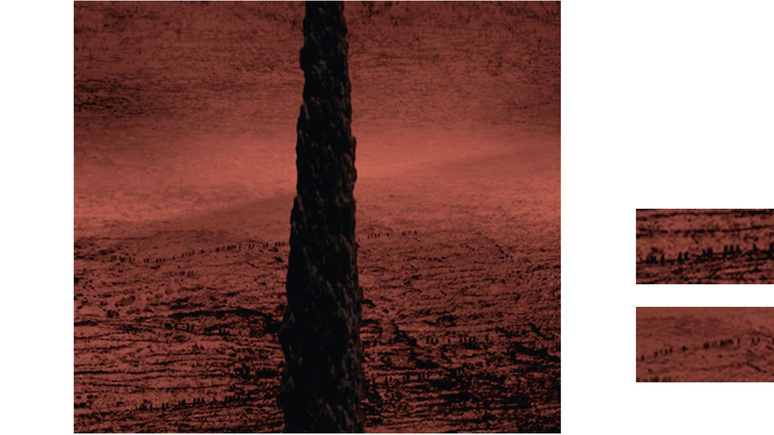 Ltd in recent years. 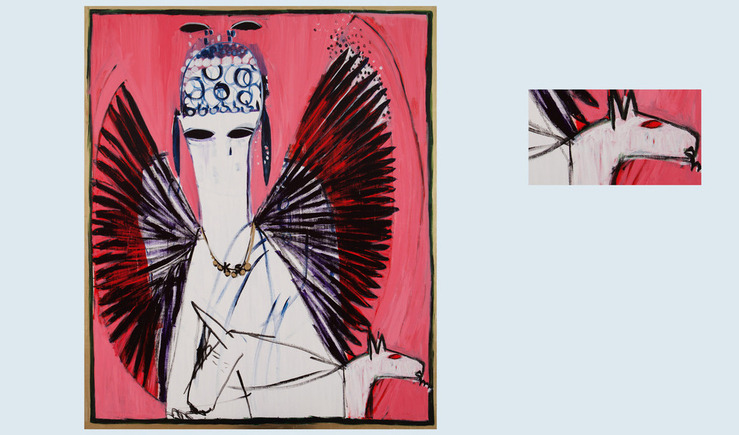 Being an Israeli collector well versed and involved in local culture, the bulk of Sebbag’s collection naturally comprises works by Israeli artists. 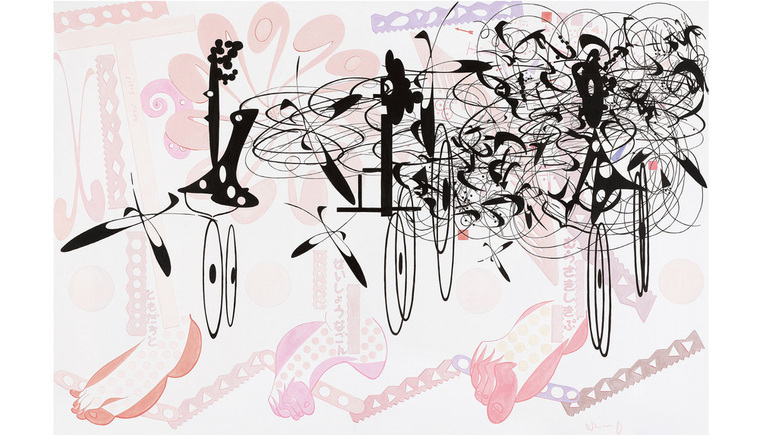 The selection presented here, like the majority of the collection, is centered on contemporary art, occasionally revisiting its sources. 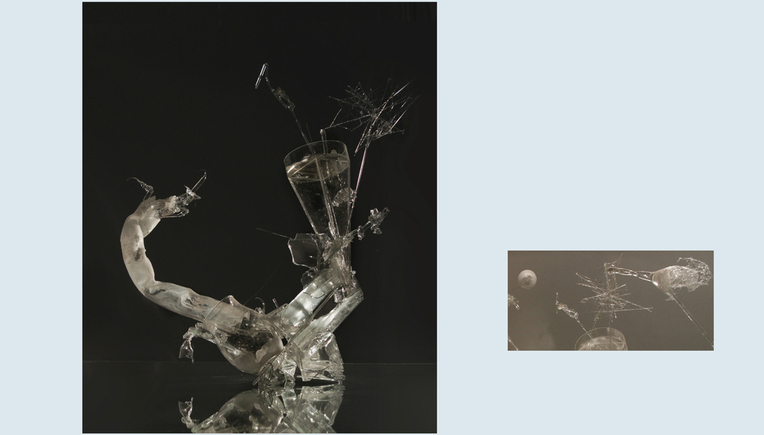 In this spirit, Yitzhak Danziger’s formative sculpture, The Shepherd King, is showcased here alongside works by artists of the intermediate generation in Israeli art (Nurit David, Yigal Ozeri, Khen Shish, and others), whose work Sebbag has been following throughout his years of collectorship, and alongside contemporary video pieces (Michal Rovner, Uri Katzenstein). 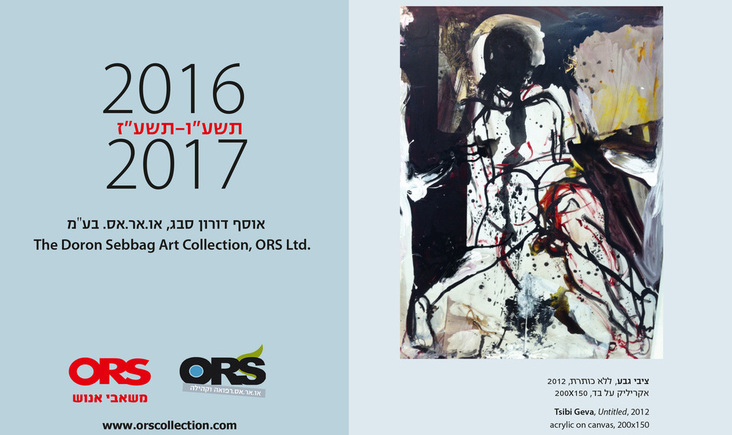 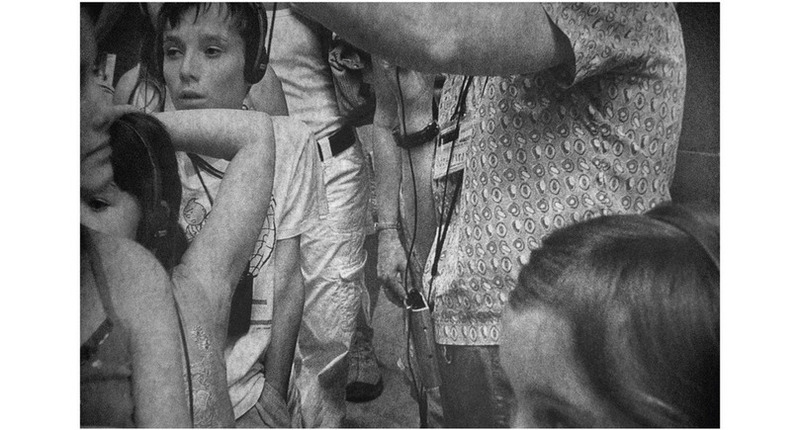 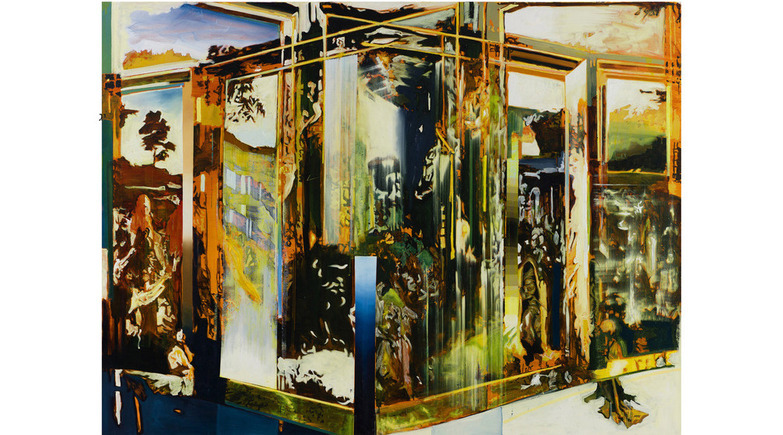 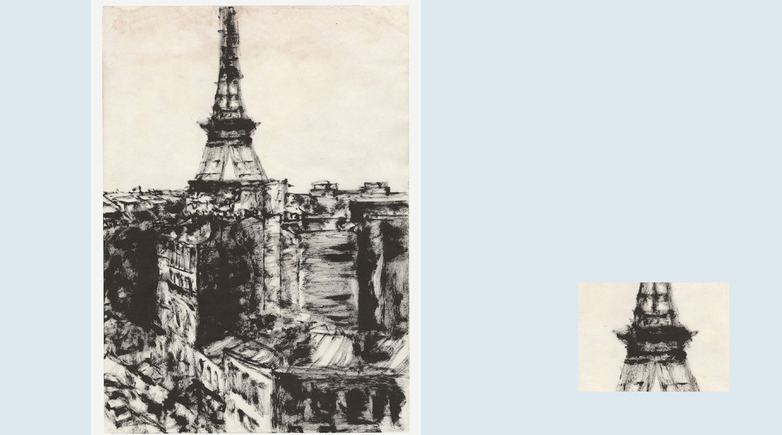 All these are juxtaposed with works by the younger generation of artists (including Netally Schlosser, Anna Yam, Oren Eliav, Marc Yashaev, and Eitan Ben Moshe).